Grant David Elliott is a retired New Zealand cricketer who was born on 21st March, 1979, in Johannesburg. He has played all formats of the game as a batting all-rounder. He is a right-handed batsman and a right arm medium-pace bowler, who found a lot of success through his variations in pace. 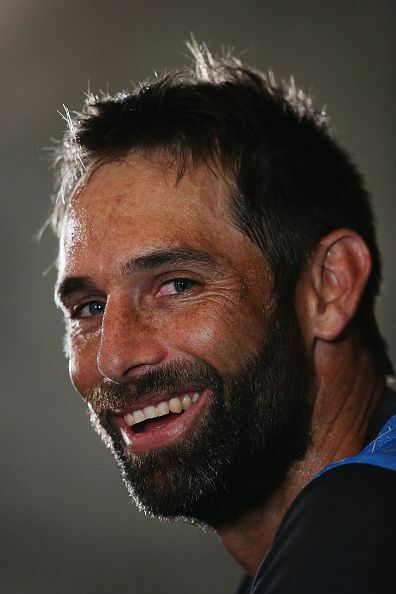 Elliott was the Man of the Match performance as New Zealand entered their first ever World Cup final, by beating South Africa in the semifinal of the 2015 event. Presently, he plays for Wellington Firebirds, one of six New Zealand first-class cricket teams. He debuted runs in 1996–97 at the South African team, Gauteng. Elliott left his native Johannesburg for New Zealand in 2001. After this, he played one match for South Africa against India before he qualified to play for New Zealand in 2007. Apart from the Firebirds, he also represented the Lahore Qalandars and Warwickshire in T20 competitions. On 22nd of March 2008, he made his Test debut against England at Napier replacing Jacob Oram. Elliott made his ODI debut against England in the same year, taking 3 wickets. In his second game, he scored his maiden ODI half century. His maiden ODI century was in the 3rd game of the Chappell-Hadlee series, as he scored 115 runs against Australia. His performance at the Champions trophy held in South Africa in 2009 helped New Zealand qualify for the semifinals. In the semifinal, he scored 75 unbeaten runs to take the Black Caps to victory against Pakistan. Elliott scored his second ODI century when Sri Lanka toured New Zealand prior to the 2015 Cricket World Cup. Elliott and Luke Ronchi both broke several batting records as the pair lifted New Zealand from 93/5 to a commanding 360 off their 50 overs. Their stand of 267 runs is the highest 6th wicket partnership in ODIs. He has played for several clubs during his cricketing career. His domestic cricketing career started with him playing for Gauteng cricket team formerly called the Transvaal cricket team since 1997. For three years from 1999 to 2001 he has represented the Northern Cape and, in the year of 2009, he has represented the Surrey. He has played for a number of clubs including Leicestershire County Cricket Club, Quetta Gladiators, St Lucia Zouks and Chittagong Vikings. His finest moment came in the 2015 World Cup semifinal against South Africa, as he scored an unbeaten 84 to take New Zealand to victory in a tense encounter. He hit the winning six off Dale Steyn off the penultimate ball of the match, to spark wild celebrations as the Kiwis made their first ever World Cup final. In the final against Australia, Elliot top-scored for New Zealand, with a knock of 83. In the inaugural Pakistan Super League in 2016, he, along with Zulfiqar Babar, set the record for the highest 10th wicket partnership in T20 cricket. In April 2016, Elliott announced his retirement from ODI cricket due to an arm injury he encountered while playing for Wellington. Later on, in March 2017, he announced his retirement from all international cricket.